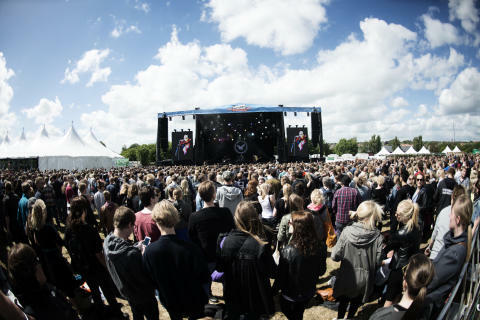 During the fifth edition of the Danish festival NorthSide you will over three days be able to see acts like Arcade Fire, Lana Del Rey, Queens of the Stone Age, A$AP Rocky, Pixies and many others on three different stages. A total of 32 acts had before today agreed to participate in this year's festival, and now we’ve added the final nine acts to the program. In 2012, the duo consisting of Canadian singer Milosh and Danish producer Robin Hannibal released the songs "Open" and "The Fall" in all anonymity and quickly thereafter speculation surrounding the beautiful melodies and androgynous vocals created a lot of online buzz. The high standard of the material was continued on the beautiful debut album "Woman", which is nominated for a Nordic Music Prize and has been praised by everyone from Pitchfork to Politiken. So we are very proud to be able to present the first ever Danish show with Rhye at NorthSide. After a six-year hiatus, Jurassic 5, returned to the live scene last year with a line-up, which included DJ Cut Chemist, who had left the group before the release of the band's latest album "Feedback".Jurassic 5 has since the early 90s been synonymous with intelligent and inventive hip hop combining old school rap and socially relevant lyrics with DJ technique of the highest caliber. During their career they have only played one concert in Denmark and we are very excited to bring them back here in the original line-up. From the time of the Danish punk scene over new wave with the Aarhus-band Kliché and pop sucess as a solo artist. Lars H.U.G. has always been the guarantor for ingenuity, provocation, and most importantly songs that will forever stand among the finest music produced in Denmark. However, since the release of the album, "Save Me From This Rock 'n' Roll", from 2003, it has been quiet on the release front, but that is expected to change shortly as Lars H.U.G. is currently in the process of recording a new Danish-language album. So when Lars H.U.G. returns to Aarhus this summer, one can expect a large number of Danish rock's greatest classics performed by the man who wrote them, and maybe even get a taste of the next step in the musical chameleons unique career. Kristian Finne Kristensen has a number of bands behind him including Green Pitch and Cancer, but as a solo artist he releases his excellent albums under the name Chorus Grant. 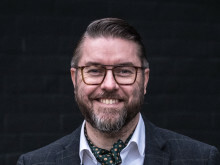 Recently, you have been able to hear his minimalist approach to song writing on the excellent album "Space", which Soundvenue called a "cultured and stimulating listening experience" and we look forward to presenting this great talent at NorthSide. 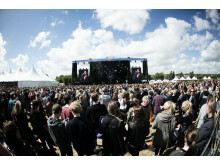 There was a long line at the gate when Dúné in 2012 open the Blue Stage on a Sunday afternoon, and the many who had come early to be blown away by the most energetic band in Denmark did not show up in vain. Since then the band has released the album "Wild Hearts", which is both their first as a quartet and their strongest release to date. So it is with great pleasure that we can now invite Dúné back to NorthSide. Earlier this year, the Irish songwriter released an incredibly evocative album titled "Post Tropical", which is more likely to remind the listener of Bon Iver's snow-capped mountain cabin than warm tropical nights. On his second album, the acoustic guitar is a little more in the background than in the past, which makes room for both electronic components and piano and horns. Together, they provide a sophisticated backdrop for McMorrow’s amazing voice, which we are looking forward to experience this summer. With the single "Deep Sleep" Nabiha exploded into the Danish pop scene in 2010, and dance floors have not been the same since. In no time the singer with African roots established herself as a Danish pop star with international class, who lists not only Stevie Wonder and Womack & Womack, but also love and compassion among her influences. This summer, we ask her to captivate the audience at NorthSide and make them dance, which should be an easy matter for the talented singer. The duo, Reptile Youth, was formed by friends Mads Damsgaard and Esben Valløe during an internship in Shanghai in 2008. Long before their first releases were ready, they established themselves as an eminent live band with a vibrant energy and a punk attitude. That was evident on the debut album "Reptile Youth", which was released in 2012 to great reviews, and this year the album will be followed with the release ”Rivers that Run for a Sea that is Gone”, and it is therefore a highly relevant Reptile Youth, who will play at NorthSide. Mike Kerr and Ben Thatcher from Brighton play rock without mercy presented in a sea of ​​delicious riffs and plenty of attitude in a duo setup, which has not been seen as riveting since The White Stripes. The sparse set-up with drummer and bassist/vocalist might seem strange. But Kerr manages to force an incredibly rich and diverse sound out of the four strings, while his voice moves between soft tenor and animal-like cries, while Thatcher is thrashing the drums, and the explosive show is guaranteed to be an amazing experience at NorthSide. All day tickets for NorthSide 2014 sold out on the 19th of February and if the sale of three-day festival passes continue at the current pace, we expected that all tickets will be sold out in early April. The final program for NorthSide 2014 features the following acts: Ane Brun, Arcade Fire, A$AP Rocky, Baby in Vain, The Blue Van, The Brian Jonestown Massacre, Chorus Grant, Cold Specks, Donkey Roadshow & Special Guests, Dúné, Flogging Molly, Franz Ferdinand, James Vincent McMorrow, Jurassic 5, Lana Del Rey, Lars H.U.G., Lucy Love, Lulu James, Mew, The Minds of 99, The Mountains, Mount Kimbie, Nabiha, The National, Nina Persson, MØ, Oh Land, Pixies, Quadron, Queens of the Stone Age, Reptile Youth, Rhye, Royal Blood, Röyksopp & Robyn Do It Again 2014, Rudimental, Ry X, St. Vincent, Temples, Turboweekend, White Lies, and WhoMadeWho. The American star, Lana Del Rey, will be joined by Rudimental, St. Vincent, White Lies, and Donkey Roadshow & Special Guests at the Danish festival NorthSide 2014.